If you are anything like me, you have not started your holiday shopping, nor are you even close to being emotionally ready to do so. How do the holidays always manage to sneak up like that? It seems impossible given that Xmas stuff was in the stores before Halloween...and yet, here we are, feeling a bit sweaty and queasy at the prospect of battling crowds, choosing the right gift, and getting it all done in time. So, Kittens, let's get back on track and break it down by some of the special people you may have in your life. 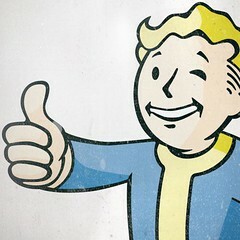 If you have a Gamer in your life, especially a Boston based gamer, you have probably heard of Fallout and most recently Fallout 4, which takes place in a fictionalized version of post-apocalyptic Boston. You can wander the fair city and surrounding towns spying familiar landmarks and collecting supplies, while keeping an eye on your faithful companion, Dogmeat. And if it's supplies you are looking for, The Bethesda Store has some super cool gear ranging from the usual t-shirts and hoodies, to handbags, sneakers and tank dresses. Reading is FUNdamental! And books are great gifts. Given our wheelhouse here at the Ladies, I'm going to mention some comics that are great for seasoned comic readers and any newbies interested in dipping their toes into some comicy goodness. 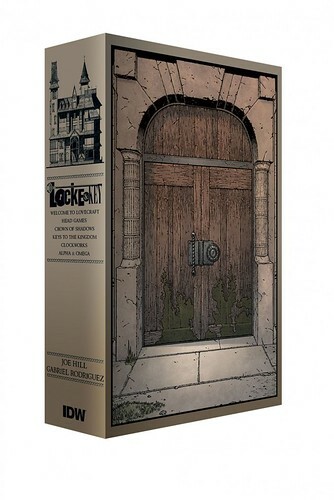 Locke and Key slipcase set - Look at this lovely! It contains the entire Locke and Key series, making it a good gift for anyone who likes horror, solid storytelling, and rich artwork. The Sandman: Overture - Remember that series you and your friends read in high school that got you into both comics and your short-lived goth phase? Well, there's more to read now. Saga Hardcover - This hardcover collects trade paperback 1-3 (that's issues 1-18.) Saga is a great story...but it is explicit, so maybe don't get this for kids or your mom who says she wants to try out comics. Ms Marvel - Trade paperbacks for books 1-4 are available. This book is a super great all ages read, so buy it for kids, parents, aunts and uncles and anyone else you want to help understand why diversity is important and how some experiences are universal. Note: I gave you Amazon links, but it goes without saying that it you have a local comic shop that carries any of these books, please go buy it from them. Supporting local businesses is also FUNdamental. 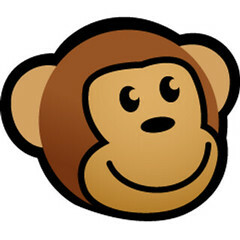 The Fan Girl/Boy- If you are reading our stuff, you probably know about thinkgeek.com, and welovefine.com. If you have someone on your list who is particularly into a fandom (Marvel, Star Wars, Adventure Time, Star Trek, Homestuck) these sites are good stops; particularly fun on the We Love Fine page is the "I am+cosplay" section. Here you will find everyday ways to let your fandom flag fly. Also check out the leggings...you know someone who wants Iron Man legs? You can get them Iron Man legs (sort of.) As the name would imply, Think Geek not only caters to fandoms, but also other "geeky" interests. Items of note include a planetary glass set, (yes, Pluto is included,) and a Death Star Mood Light. What mood would this put you in? I'll let you sort that out. The Craft Drinker- Do you have someone in your life who likes to drink more interesting libations? Beyond the myriad of craft beers, ciders, and wine, there is mead. Not sure what mead is? It's basically fermented honey wine, and done well, it's delicious! 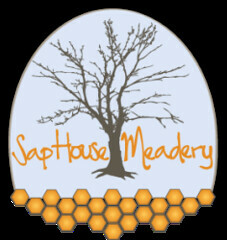 The Goog and I recently discovered Sap House Meadery in Ossipee, NH, and have found their mead to be a great balance of sweet (not cloying at all) and dry. They also have some really interesting specialty varieties. We had Cranberry Sage at Thanksgiving and I would highly recommend the Kombucha if it comes around again. Bottles run in the neighborhood of $15, so they're also a nice host gift if you are going to any parties and need to bring something. Plus, you know, alcohol, the gift that keeps on giving. Cooking is both an art and a science. 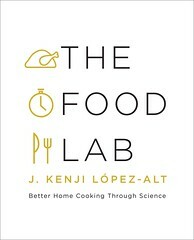 And if you know someone who tends to lean a bit more to the science side, you will definitely want to introduce them to Serious Eats: The Food Lab, and the corresponding book The Food Lab: Better Cooking through Science by Kenji Lopez-Alt. It's like the Joy of Cooking for food nerds who want to understand not just the "how", but also the "why" of preparing food. You aren't just learning how to make some new recipes, you are learning how to cook at its base scientific level. The book itself is heavy, meaty, and satisfying, like a college textbook, or an encyclopedia volume (ugh, I think I am showing my age here.) Both The Red Menace and I have this book, and I can tell you it's already upped my pork loin game. Art and movies are two great tastes that go great together (and yes I am aware they are not mutually exclusive.) Shopping for someone who loves movies can be challenging. 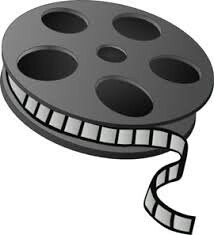 If they love a movie, they probably already own it, so that's out. Instead think about getting them some original art inspired by a movie. Etsy.com is a great place to troll for some really clever and fun pieces, like this Jurassic Park poster or these Fury Road vehicle pics. Buy art, support independent artists, make your movie loving friend happy. It's the true meaning of the holidays! Perfume is a tough thing to buy for a gift. How a scent smells and reacts with skin varies from person to person. But, perfume is also fun and glamorous! It's even more fun and glamorous when it's connected to a fandom you love. 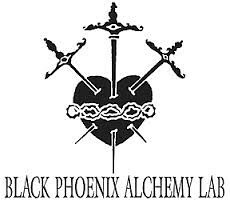 Enter Black Phoenix Alchemy Lab (BPAL) and their perfume oils. Along with their own scent line BPAL has created scent lines for Labyrinth, The Last Unicorn, Hellboy, and more. BPAL offers "imp's ears", which are basically little sample vials so you can try before you commit to whole bottle. Warning, this website is a total rabbit hole. Hours, and I mean hours can be lost to reading through perfume descriptions. In this case, your best bet might be to go with a Gift certificate so the intended can explore on their own and to their own taste.